It’s always fun to find puzzles in unexpected places, so when friend of the blog Jen Cunningham sent me the picture above of a single with a crossword aesthetic, I was immediately intrigued. 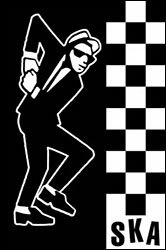 I’d never heard of the band or the song, but as a long-time fan of ska music — a mix of Jamaican reggae, rock, and blues, heavy on the horns, very jazzy and upbeat — I initially suspected a ska influence, given the crossword pattern. 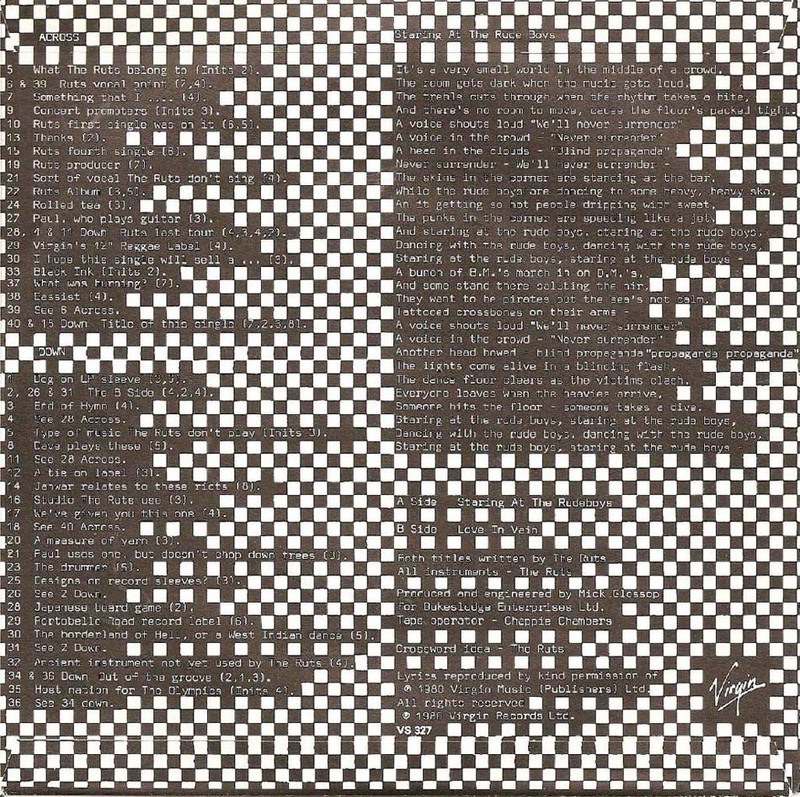 You see, the mix of black and white squares in crosswords is very reminiscent of the checkerboard pattern that is synonymous with both two-tone ska and third wave ska. My suspicions turned out to be correct when I began investigating the record itself. 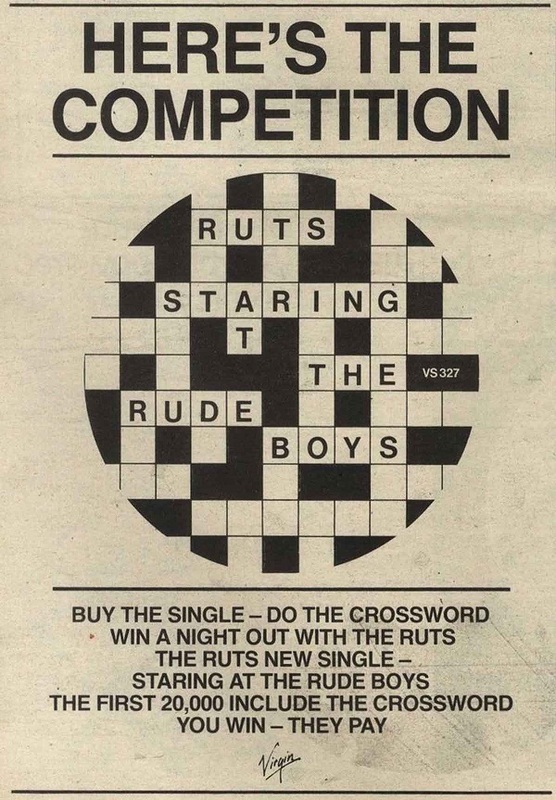 “Staring at the Rude Boys” was the fifth single released by The Ruts, a British band from the late ’70s and early ’80s that mixed punk and reggae-infused ska elements. Although the band never made a splash in the United States, they had a UK Top Ten hit with “Babylon’s Burning” in 1979. 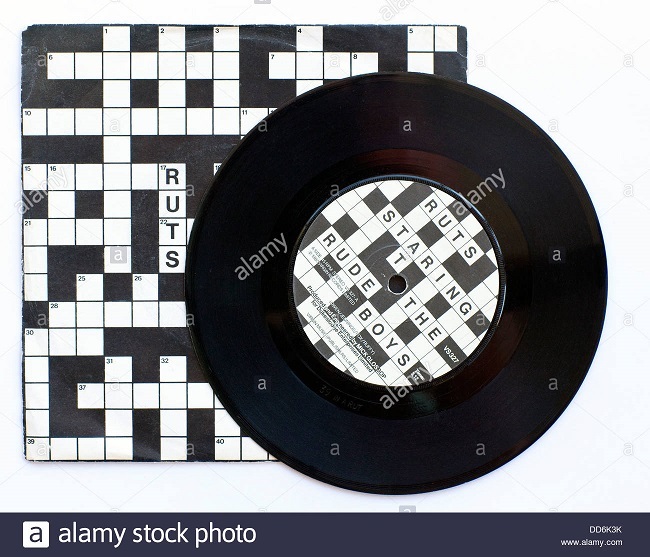 And as it turns out, the crossword design is part of an actual crossword, complete with clues related to the band and the single, as well as some random obscurities meant to poke fun at the challenging clues featured by some crossword outlets. Apparently, the crossword aesthetic was part of a marketing campaign, complete with a contest to see who could solve the crossword! Once again, we discover that there’s virtually no corner of pop culture that hasn’t been touched by puzzles in some way, shape, or form. And not only did I get to explore a curious diversion in puzzly history, but I got to do so while listening to one of my favorite genres of music. Puzzles… is there anything they can’t do?